Using oranges as the basis for your breakfast smoothie takes the idea of fresh-squeezed orange juice to a whole new plane. By using the whole orange rather than just its juice, you get all of the fiber from the pulp that would otherwise be discarded. The combinations of ingredients you can add to your pureed orange are virtually unlimited. You can create creamy smoothies with yogurt or tropical smoothies with banana, pineapple, mango and coconut milk. You can even hide a serving or two of your daily vegetable intake in your smoothie because fruits like oranges, berries and kiwi have strong flavors that overpower green vegetables. 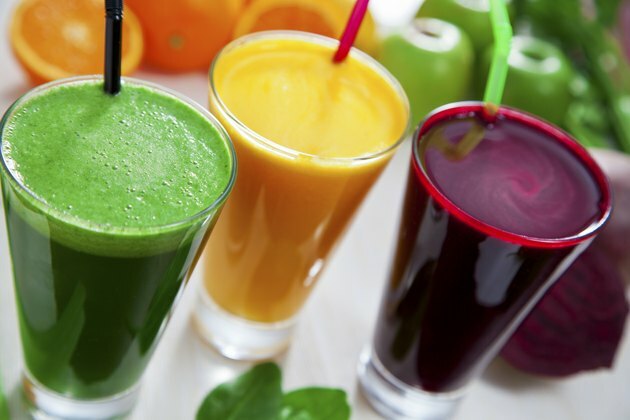 Begin with healthy ingredients and any smoothie you make will be a healthy smoothie. Peel one to two oranges. Section the oranges and remove any seeds. Regular blenders can't fully pulverize the seeds, but if you have a commercial blender you can skip the sectioning and seeding. Put the oranges in the blender. Add yogurt, milk, fruit and vegetables until the total volume of the mixture is the amount of smoothie you wish to make. Add any powdered supplements you desire. Blend the mixture until it is smooth, adding additional liquid as necessary in the form of water, milk, yogurt, coconut milk or other liquid.